Swing was the thing, until alto saxophonist Charlie Parker, trumpeter Dizzy Gillespie, and pianist Bud Powell helped give birth to bebop, and alto saxophonist Ornette Coleman set jazz free. Not that swing ever went away, it just got bumped into the back seat. So when "Confirmation" and "Dance of the Infidels" wailed on the dashboard radio, Johnny Hodges' alto sax sang sweet notes out of one of the back windows, Lester Young blowing them out the other. 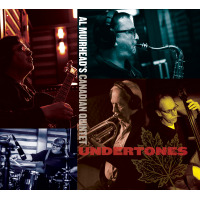 But this is a new millennium, so when a record rolls by a group tagged as "this swinging ensemble," it can be considered a throwback, ormore accurately, in the case of Undertones by Al Muirhead's Canadian Quinteta celebration of a type of music that hangs tough, that has never really gone out of style. 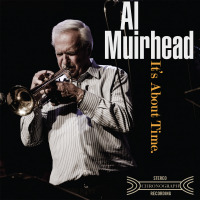 Canadian trumpeter Al Muirhead, born in 1935, when swing was still king, has been at this music game for seven decades. He plays, on Undertones, the bass trumpet, a horn not often heard in jazz, especially as a main voice. It's a voice with a warm, deep tone, not too far off the sound a trombone makes, with perhaps a bit crisper articulation. He teams on Undertones with a superb quintet, and a cool swinging tenor saxophonist, Kelly Jefferson, in the front line. This is a likeable, smooth-flowing, mellow jazz sound. 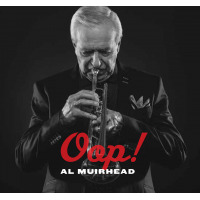 Muirhead contributes three originals, including the classic-sounding opener, "A Tune for Cal," a song that flows like honey, featuring stellar soloing by Muirhead, saxophonist Jefferson and guitarist Reg Schwager. The group takes a swing at the familiar Walter Gross/Jack Lawrence composition "Tenderly," an Ellington vehicle that gets covered often. 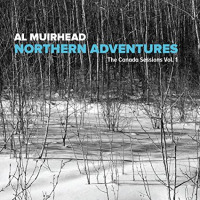 Muirhead and the group treat the tune with respect, with a spirited yet-laid-back treatment, Muirhead's soloing coming from deep in his soul. "Especially" beautiful is the Henry Mancini/Johnny Mercer tune "Charade," that perhaps doesn't get covered enough, and "I Don't Stand A Ghost Of A Chance With You," with Muirhead kicking it off sounding supremely melancholyit seems a tune just made for the low, rich, mellifluous tones of the bass trumpet. The tempo steps it up a few notches on the closer, Jimmy Giuffre's "Four Brothers," energetic and sizzling, it wraps the show on an uplifting note. Track Listing: A Tune for Cal; Rose Room; 'Deed I Do; Tenderly; You're My Everything; Take it to the Banks Tom! ; Charade; S'posin'; I Don't Stand a Ghost of a Chance With You; Four Brothers. Personnel: Al Muirhead: bass trumpet; Kelly Jefferson: tenor saxophone; Reg Schwager: guitar; Neil Swainson: bass; Ted Warren: drums.